M. Leones — Malik Media | Branding. Marketing Strategy. Design. When we say challenge– we aren't exaggerating. Veriano Fine Foods & Spirits (the creators of the acclaimed premium liquor brand Tessora) came to us one afternoon with with an idea and a piece of paper. Yes, just that. Veriano had just been approached by a major retail distributor, and they had an opportunity to develop their own private wine label and pitch it to them. The catch?... They had 3 days to turn their faint vision into a reality. Oh yea–and they didn't even have a name. Did we mention all they gave us was a piece of paper with some lion photos? Well, with only 3 days to spare, we took that piece of paper and ran with it. We immediately put together a mood board for the project, piecing together photos, colors, and other inspiration for the brand we were about to build, using this inspiration to create a shortlist of names and eventually settling on "M. Leones." This exercise helped us develop a color palette to set the tone for our design concepts. After multiple lightning rounds of iterations, we landed on three final brand marks that best conveyed the original vision of the Veriano team. 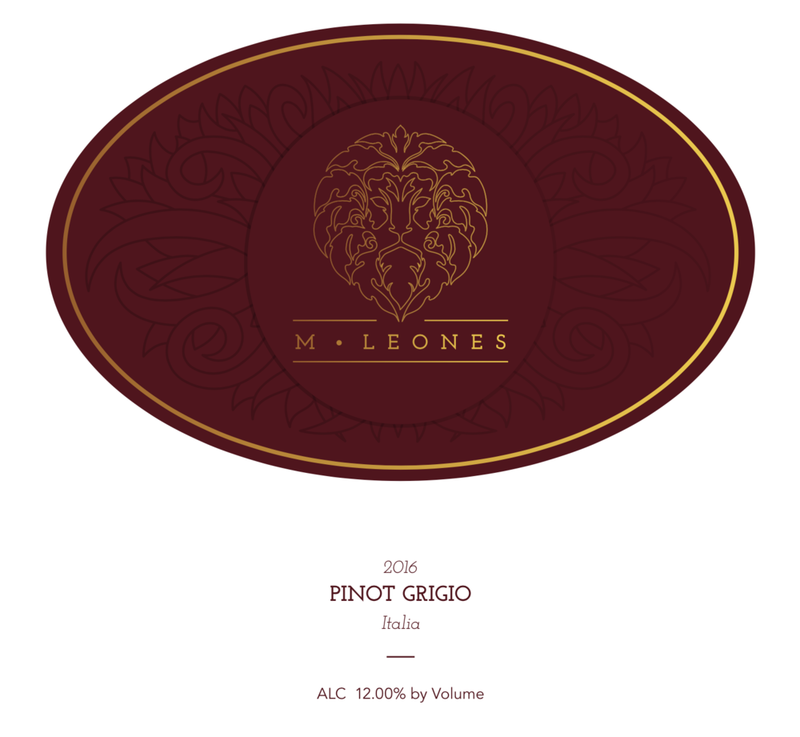 To pull it all together, we created realistic mockups of the wine labels on bottles of Pinot Grigio to help both the client, and the distributors they would be pitching to, better conceptualize these designs in use.